Ian Brown has reportedly confirmed The Stone Roses will reunite and "rule the world again". The 'I am the Resurrection' group are set to hold a press conference tomorrow, and singer Ian confirmed to friends this weekend the group will play their first shows together since splitting in 1996. In a text to a friend seen by The Sun newspaper, Ian wrote: "We are going to rule the world again. It's happening." The source, a magician named Dynamo, added: "He said it's true. It's definitely happening. Ian's on great form. I'll be at the gigs. It's going to be massive." 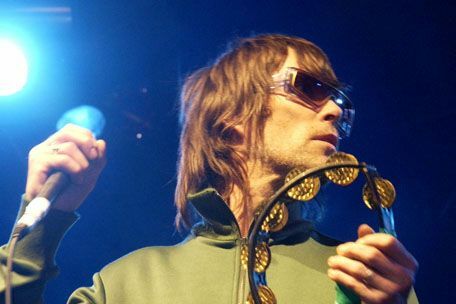 The main reason preventing the group reforming previously has been the animosity between Ian and guitarist John Squire, who had not spoken since the band's breakup until March this year, when they made peace at a funeral for the mother of the band's bass player, Gary 'Mani' Mounfield. Further fuelling rumours, Elbow singer Guy Garvey was overheard this weekend saying he'd seen the band - completed by drummer Alan 'Reni' Wren - practicing. A source said: "Guy was talking to friends about how the original line up had been rehearsing over the summer in Manchester." Rumours are that the group will go on tour, with the possibility of them playing a 'super show' at Heaton Park in Manchester, Northern England. Since the breakup of the group, Ian has gone on to have a successful solo career, John gave up playing guitar to become an artist and Mani joined Primal Scream, while Reni has kept a low profile.